Heavy rain soaks Navarro County again, sending emergency crews into overdrive. Weather officials say October's plentiful rains made it the fifth-wettest going back to 1895. National Weather Service meteorologist Victor Murphy said in an email that October's 5.84-inch statewide average was 230 percent of the 2.53-inch average. The rainfall last month nearly took the state out of drought. Thursday's U.S. Drought Monitor map showed only about 4 percent in the moderate category, the least severe category on the map. The rains are a result of El Nino, a flow of unusually warm surface waters from the Pacific Ocean toward and along the western coast of South America. It changes rain and temperature patterns around the world and usually raises global temperatures. 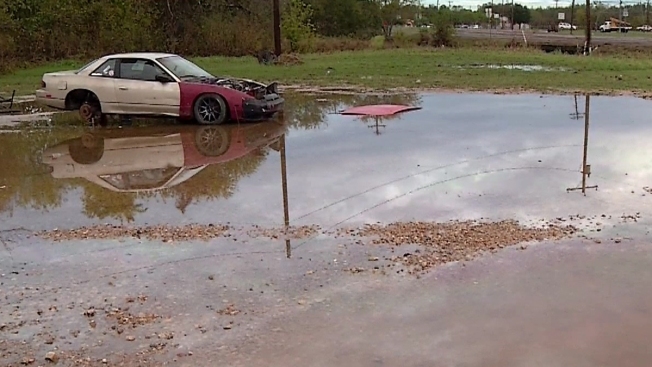 Some parts of Texas -- Corsicana where a train derailed from flooding and the Waco area -- got double-digit amounts.